This year, World Marrow Donor Day falls on Saturday, September 16 2017. 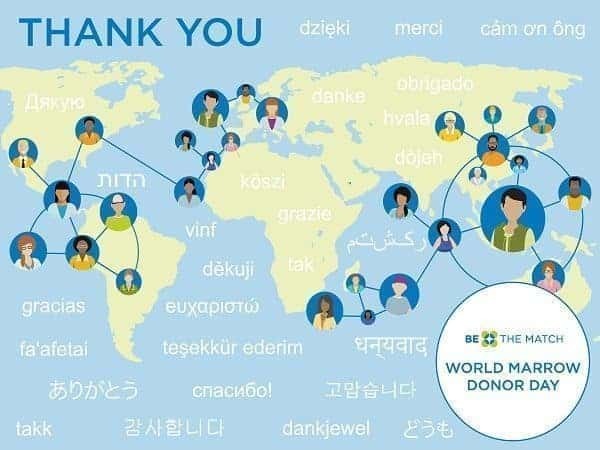 The day serves as a great reminder of the importance of giving bone marrow, to raise awareness about the importance of donating blood marrow, and to thank donors worldwide. What Is Bone Marrow and Why Is Donating it Important? Bone marrow is the spongy tissue that is within the bones. Bone marrow is very important because it contains stem cells, which can develop into white blood cells (which are key for fighting infections), red blood cells (which carry oxygen), and platelets (which allow your blood to clot). Sometimes, a person develops a disease that directly affects the bone marrow’s ability to work as it should. For example, when a patient has leukemia, the bone marrow cannot create white blood cells normally. Or, when a person is suffering from aplastic anemia, the body is unable to make enough red blood cells. Donating bone marrow is important because it can save a life. There are currently thousands of people who are suffering from bone marrow disorders and are in need of a bone marrow donor. 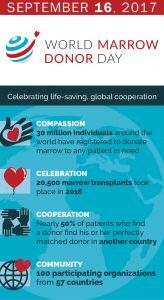 Why Celebrate World Marrow Donor Day? Giving bone marrow is a selfless thing to do. Blood stem cell transplantation can have a huge–and often times life saving–effect on a person’s life. World Marrow Donor Day is an opportunity to acknowledge all of those who have donated or are planning to donate. 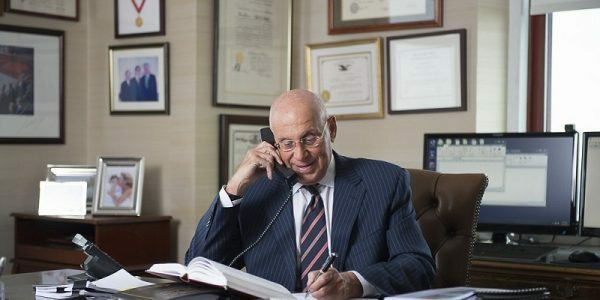 At the law offices of Napoli Shkolnik PLLC, our attorneys are strong supporters of the Bone Marrow Foundation – in fact, Marie Napoli is on their Board. We would like to say thank you to every donor out there. For those who have been thinking about giving bone marrow, volunteering time, or making a donation, the time is now, and the effect could be monumental. Learn more online today. Hadley was diagnosed with acute myeloid leukemia (AML) in December 2013 when she was just 6 months old. As a result of her slow response to chemotherapy, Hadley’s doctors determined that she needed a bone marrow transplant and she was transferred from Kosair Children’s Hospital in Louisville, KY to Cincinnati Children’s Hospital. After some initial difficulty finding a bone marrow match for Hadley, friends and family organized a donor drive where more than 1,300 community members attended. A donor was eventually found through Be The Match, and after her third round of chemo, Hadley received an allogeneic bone marrow transplant in April 2014. 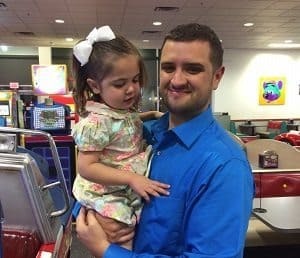 Hadley is now in full remission and is attending preschool this year. She met her donor, Nick, at a Be the Match event last year.